After the success of previous singles The Next Time and Don’t Regret A Single One, both of which sat on the Chris Country A-List and received much regional BBC Radio support, Liv Austen’s back with the release of her new single Window Shopping - an upbeat & fun pop song with a country twist. Window Shopping, with its British spin on a predominately US pop country sound, is a co-write with Kaity Rae - a young and exciting breakthrough songwriting talent (plus favourite of Ben Earle from The Shires). Liv and Kaity bonded over their frustration with how superficial people are when looking for love. Says Liv of the release: “It’s always been a goal of mine to write something that’s fun and catchy on the surface, but holds a much deeper meaning for anyone who listens closely to the lyrics." For me Window Shopping is a perfect example. Window Shopping was produced by Liv and her guitarist Jon Wright, who also took on engineering and mixing duties at their South London studio. The final touch came from US mastering engineers Sterling Sound, whose resume includes their work on tracks like Kacey Musgraves’ Golden Hour and Carrie Underwood’s Cry Pretty. 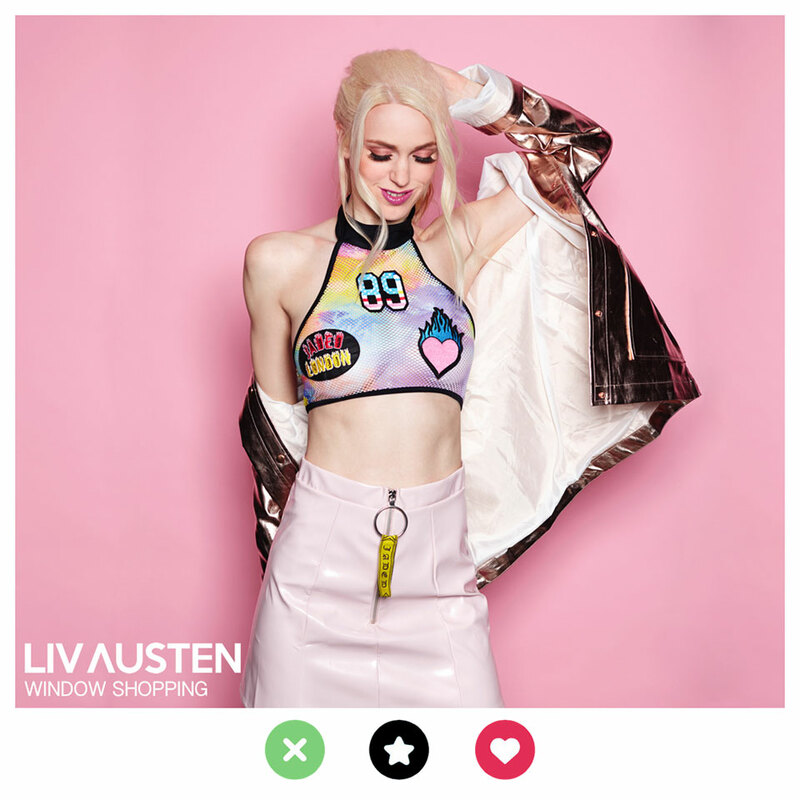 Originally from Oslo in Norway, Liv moved to the UK to develop her acting career, when the songs she was writing in her spare time found their way into the hands of music industry folk who clearly saw their potential. Now with multiple performances at C2C Festival, writing with Ben Earle and an Under The Apple Tree session for legendary UK Country / Americana broadcaster and champion, Bob Harris, Liv Austen is fast becoming one of the “must see” up and coming artists on the UK country music scene. Due for release later in 2018, Liv is currently putting the finishing touches to her debut album, rammed full of her trademark blend of heartfelt country andpop flavours and featuring co-writes with the likes of Jessica Sharman who wrote five of the tracks on the Cartwheels album by Ward Thomas (the firstUK made country album to make No 1 in the UK album chart). Liv has a busy schedule ahead and is all set for a great summer which includes a performance at Millport Festival and appearing in the new series of Channel 4’s hit show Humans. There are more shows being added all the time, so don’t get caught window shopping and be sure to check Liv’s website for upcoming gigs and more info.